The Walking Dead season 4 "harkens back to the first season"
Greg Nicotero, executive behind "The Walking Dead" has stated that season 4's next set of episodes "harkens back to the first season". The zombie hit will return to AMC on February 9th and to Fox in the UK on the following day. 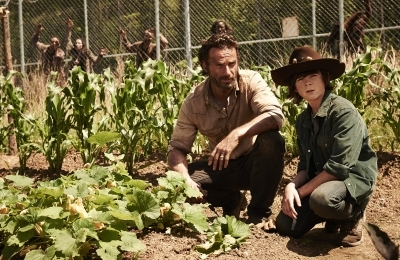 The latest trailer looks bleak, things are going to get worse, Rick has lost his will to live, Carl and the rest of the group will be left to fend for themselves. Check out the trailer and prepare yourself for the zombie apocalypse when S4 returns on Feb 9th.